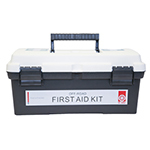 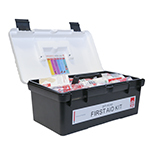 This portable kit made from durable plastic is easy to transport and has a handy lift out tray. The Off Road kit is ideal for adventures off the beaten track and where medical help is some time away. 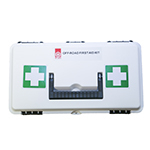 Be prepared to treat minor scrapes through to major trauma and heavy bleeding.